The couple seems to have rekindled their romance, though they have neither confirmed nor denied it. 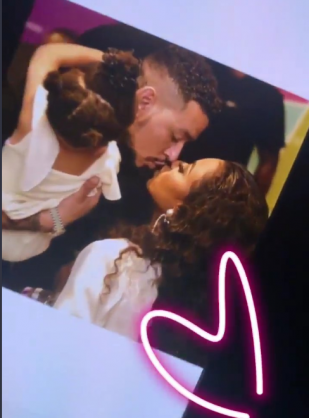 AKA seems to have hosted a successful concert when he performed with a 30 piece orchestra at the Sun Arena at Time Square in Pretoria on Sunday and also sparked romance rumours after a picture of him and DJ Zinhle started circulating on social media. DJ Zinhle has been trending since. She attended the concert, along with AKA’s mother, Lynn Forbes, Nomuzi Mabena, and Lerato Kganyago. Pictures of the two kissing set tongues wagging and started speculations that they may have rekindled their romance. The couple broke up a few years back and caused a public spectacle after accusations of cheating, with AKA publicly defending ex-girlfriend Bonang Matheba against DJ Zinhle. Now, following the circulation of the pictures, the DJ has been labelled the “forgiveness ambassador”, after going through all that public humiliation and still forgiving the father of her child. Can we stop comparing Dj Zinhle's situation with Beyonce's situation. Firstly Jay z never left his family. He didn't go on social media amd tell Beyonce to stop obessing over him and get a life. He didn't cry over his mistress when she left. The situations are very different. There's nothing celebratory about going back to a man that humiliated and cheated on you. Drag me if I do that bethuna. Siyamvuyela uDJ Zinhle if uhappy but ha.a mntase men get away with too much, yikaka actually. The comments aimed at DJ Zinhle further confirms for me that the biggest oppressor of women is not men. If AKA makes DJ Zinhle happy, then she should be with him. Y'all hos probably chasing men with 5 baby mamas on 1 block.